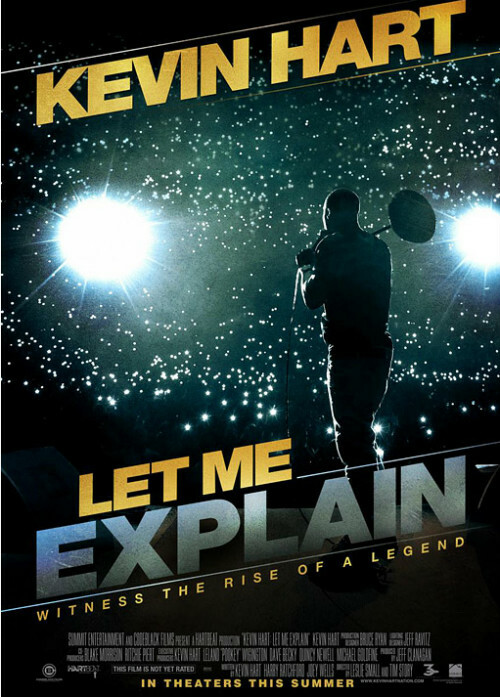 Filmed at a sold-out performance at Madison Square Garden, comedian Kevin Hart delivers material from his 2012 “Let Me Explain” concert tour. 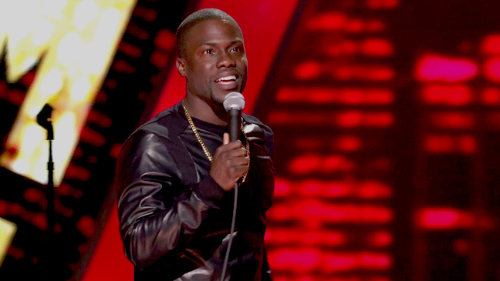 I’m a huge fan of Kevin Hart, the guy has a fantastic sense of humor and knows how to be funny on all levels, if he is doing stand up or acting in a tv show or movie, he is great. This show cases one of his best stand up shows I have seen, he is hilarious and bit after bit you keep laughing. You also get to see what happened with these guys on the tour bus across Europe and different places around the world. 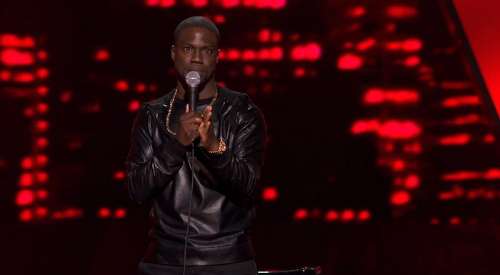 If you want to laugh then you have to watch Kevin Hart. If you haven’t seen the VMA’s then just watch this, this is by far THE best live performance I have ever seen. I was watching this on TV and clapping with them on the TV to the point that I was dancing to the performance. Justin Timberlake is a true artist and he has worked with the greatest and he just keeps making hit after hit that I love, they called him the President of Pop and he more then deserves that title. Just watch the full 15 mins you will be jumping out of your seat. Everyone at this point has heard or is using DropBox, its so convenient and very simple to use with a lot of options, also its one of the least complicated sharing solutions. For a while I have been checking out LiveDrive since they have almost the same features but with a more bells and whistles, you get the option of 2TB or 5TB, and the back ups from your machine doesn’t count against your quote. The interesting thing is that the space loads up on your computer as a hard drive and you can do that across several machines Windows or Mac which is pretty cool. Currently I’m paying for the extra DropBox storage and I’m around 80% capacity, they other day I realized that I store a lot on DropBox and rarely take it off since I’m accessing it a lot from different machines. I would go with one of the home solutions which doesn’t have file restriction sizes like Box, and provides a lot more space then DropBox. 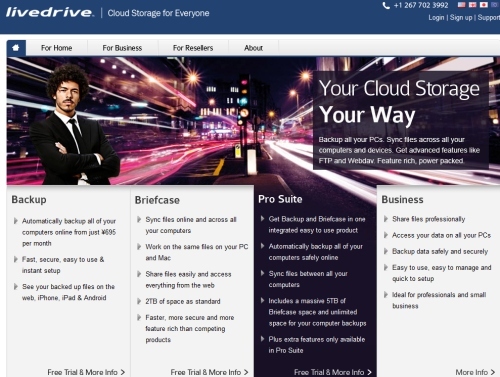 For now DropBox is the best on the go solution and fantastic, but LiveDrive is when you need something for those huge files and flexibility to do what you want with them across multiple machines. There isn’t a lot of sports that I follow but the one I do follow consistently is American Football. I just love watching NFL games and the one thing I wanted to do on my trip was to go a San Francisco 49ers game as they are my favorite team. It was the first home game and they were already 0-1, and it was against the Superbowl Champions, the New Orleans Saints. There was a huge build up to the game and I for one was going crazy from start to end. It was a special day for 49ers fans as they were retiring Jerry Rice’s number at half time, number 80, and every loved Jerry Rice. So many super stars and couches were there from the past. Steve Young and Ronnie Lott and a whole lot of other people, it was just another level of excitement. Going to the game early is key so you can enjoy the tailgating, in our case some beef hot links and throwing the ball around. Next day my arm was hurting me so that tells me how fit I am, probably in my worst physical state. After tailgating people started heading in to get their seats and I was excited as hell, and this game was not a disappointed. The 49ers did lose in the last two seconds of the game which drove me insane, I screaming my head off all through out the game and loved every moment of it. Going to a live sports game is completely different then watching it on TV, if I had the chance I would go to every game, I just love it. I have had my hotmail account since 1996 and I log into it once every few months, I have a lot of random emails that head over there and I clear it up once in a while. I remember subscribing to Hotmail “Extra” a long time ago to get from 10MB to 250 MB which was HUGE a long time ago, but thanks to Google that barrier was destroyed and they kept on going with amount of space available. 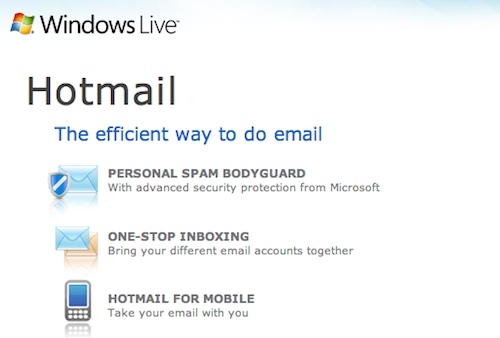 Recently Hotmail/Live made upgrades to their email system stating a new and revolutionary way to use your email. Integration of new features, conversation style emails, new filters, and a new way to attach files. Well overall its still slow in comparison, loading and sending emails still go through that process of waiting, you have limitations with your attachments even though they say you can attached 10GB files which doesn’t seem to be the case. Two things that I really hate about hotmail is the lack of organization, even with the very late introduction of filters its still not as intuitive as Gmail’s ease of organization, secondly is the amount of spam that I still get, I only have allowed emails coming through so I have to keep checking my spam mail for legitimate emails. I haven’t used my yahoo mail in a while either but I remember it isn’t as annoying as my hotmail. Well even with all these changes I’m still not using my hotmail at all, I just use it for random website registrations. Madonna is one of those unique performers, not every musician is good on stage but Madonna takes it to another level. I won’t lie I’m a huge fan of her music, she just keeps making each album as unique as the next. If you have inkling towards Madonna then you have to get the Sticky & Sweet tour CD & DVD. I watched the whole concert and I have to say that Madonna is a little to boney for my liking but her performance was fantastic. The best part of the concert was the music, remixed and redone to fit the live performance, upbeat and energizing, and most of the songs were even better then the original songs. For any Madonna fan or those who like her music you have to watch this concert and get the CD.